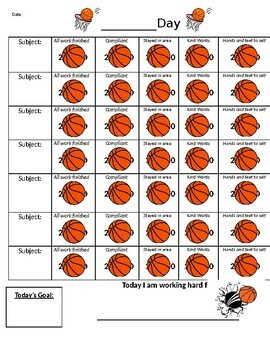 A quick easy way to track a student's day. This sheet is broken down into blocks of each day and 5 target areas to work on. I'm leaving this as a word document so changes can be made based on the student. I have the teacher/student set a goal and if the goal is reached then a reward or celebration is given either at home or school. Let me know if you'd like to see a customized theme.